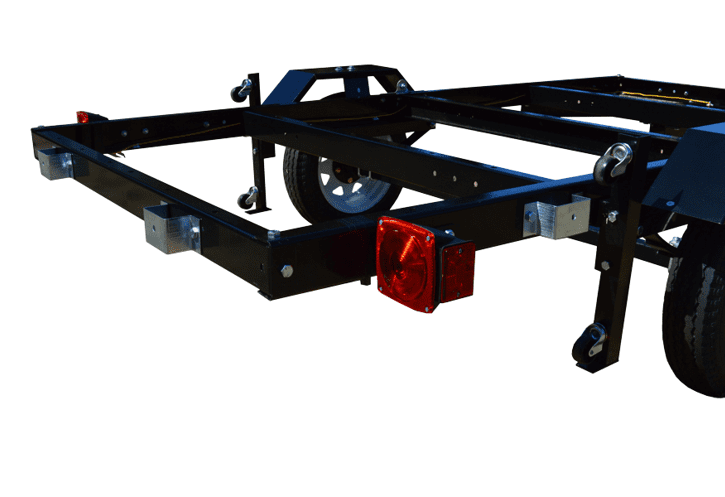 This 4 foot by 8 foot folding trailer easily stores in your garage and is excellent for towing an 800cc ATV or three 125cc kids atv’s. 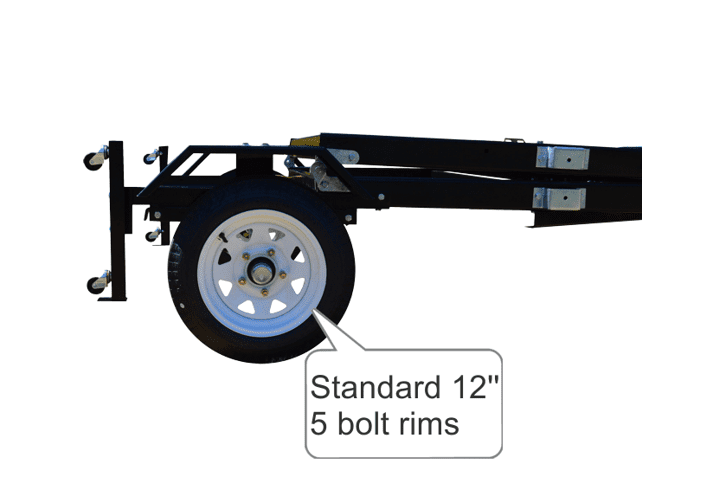 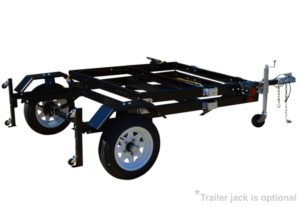 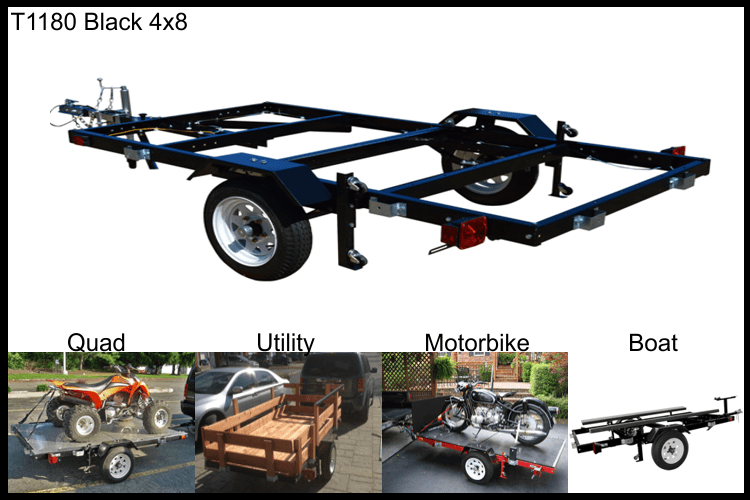 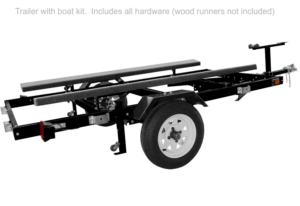 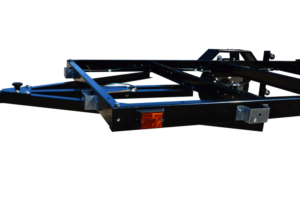 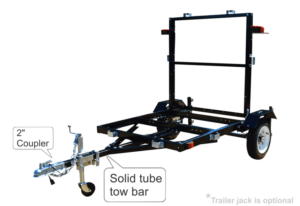 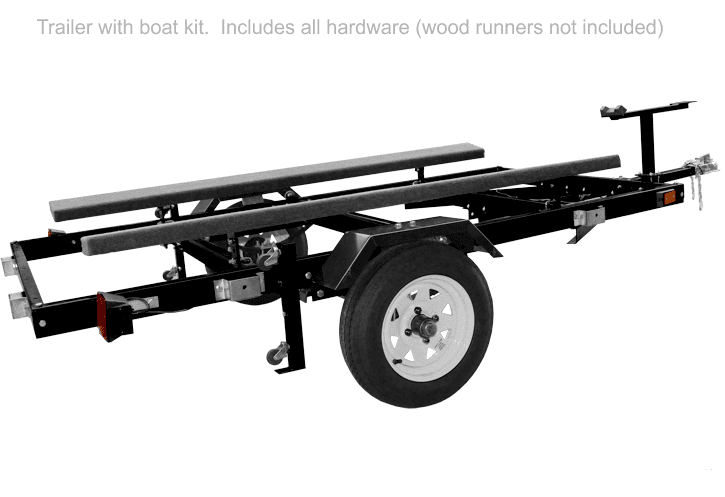 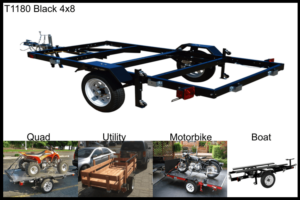 Once assembled, the trailer simply folds up for easy storage in a compact area of any garage, barn or shed as it rolls easily to its storage position on built-in casters. It can also be tilted while hitched, making it easy to load and unload the trailer.